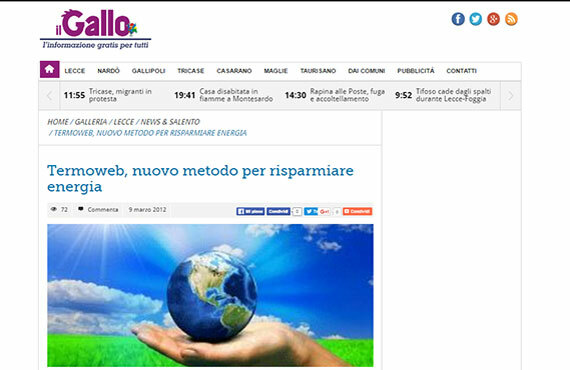 News & Video | Webelettronica s.r.l. 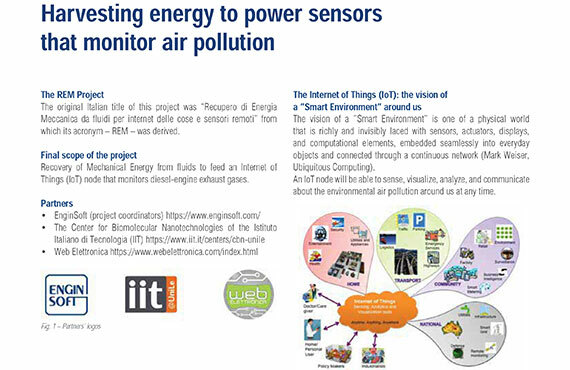 "Harvesting energy to power sensors that monitor air pollution"
Wednesday, September 28, 2016 LecceSette.it publishes an article on the agreement with the Chinese giant in the field of renewable energies on an idea of Roberto Stomeo, Vincenzo Giliberti and Mauro Tafuro. 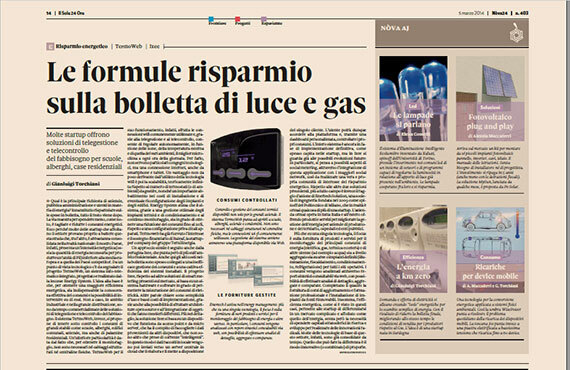 "The savings formulas on your electricity and gas bills"
The 5th March, 2014 "Il Sole 24 Ore" published an article about Webelettronica s.r.l (before Energy System) about how many start-ups offer remote management solutions and remote monitoring for the needs of schools, hotels and residential houses. 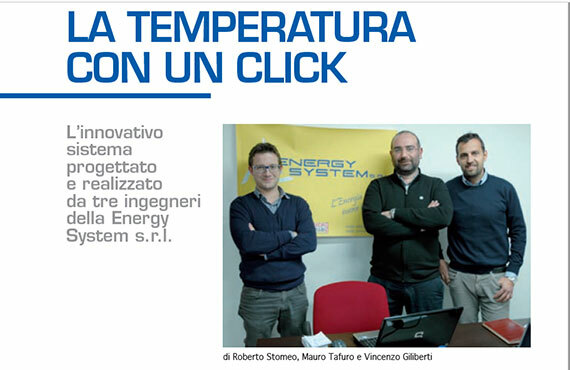 "TermoWeb (Algo) and the Web management of heating systems"
Wednesday, July 3, 2013"Tekneco.it" publishes an article on the system, developed by the Salento Energy System (now Webelettronica s.r.l. ), which is based on thermostats capable of functioning in wi-fi, with no need to install control units. Innovation Fair in Lecce: Video interview with Daniele Perrone. Daniele Perrone presents the "Termoweb" project. The vision of a ”Smart Environment” is one of a physical world that is richly and invisibly laced with sensors, actuators, displays, and computational elements, embedded seamlessly into everyday objects and connected through a continuous network (Mark Weiser, Ubiquitous Computing). 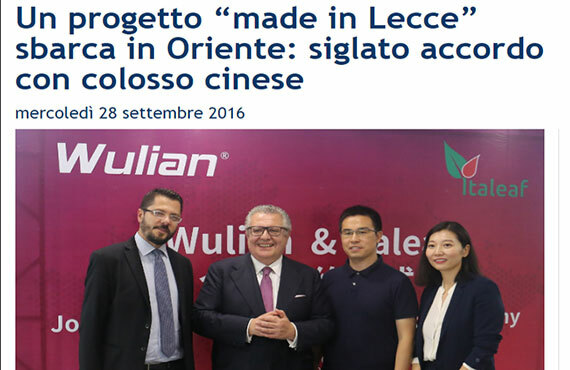 Da un'idea di tre ingegneri leccesi nasce l'accordo con il colosso cinese nell'ambito delle energie rinnovabili. Nasce la società Wsave che svilupperà il progetto. Un progetto nato dallo studio di tre ingegneri leccesi ha dato vita ad una cooperazione internazionale. É stato siglato in data odierna a Nanchino in Cina, l'accordo tra Italeaf, società italiana che tra le sue sedi ha anche Lecce e si occupa di energie rinnovabili, e il colosso cinese Wulian, leader internazionale nel settore dell'efficienza energetica, per la nascita della società Wsave Co. Ltd.
Webelettronica s.r.l., "Termoweb, a new method to save energy"
Friday, March 9, 2012 "il Gallo.it" published an interesting article about TermoWeb (Algo) a thermostat designed and build by Webelettronica s.r.l. and WiSave. 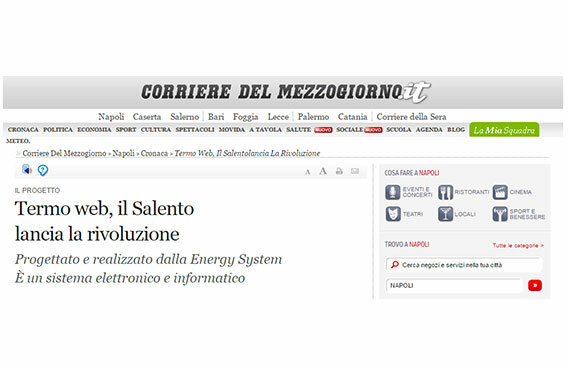 Webelettronica s.r.l., "Salento launches the revolution"
Wednesday, March 7, 2012 "Corriere del mezzogiorno.it" published an article about TermoWeb (Algo) a thermostat designed and build by Webelettronica s.r.l. and WiSave. 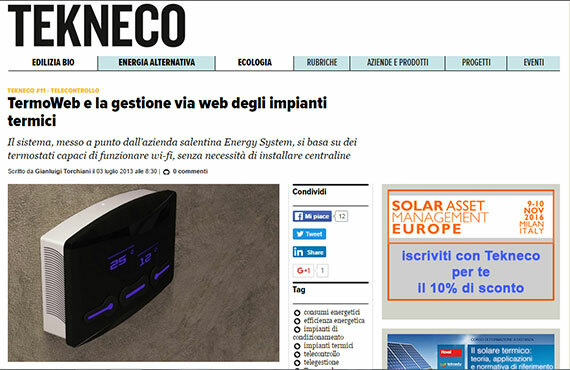 "Spazio Aperto" the Journal of Engineers in March 2012 published within its monthly an article on the innovative system designed and built by three engineers of Webelettronica s.r.l.